Just wondering if this looks like high usage? Anything I might need to look at changing? Not at all, looks good to me. That is a lot of screen time. 1 hr and 45 min. I use yahoo messenger and clash of clans a lot. I have been seeing ppl talking about the Android System percentage lately so I thought I would ask about it. 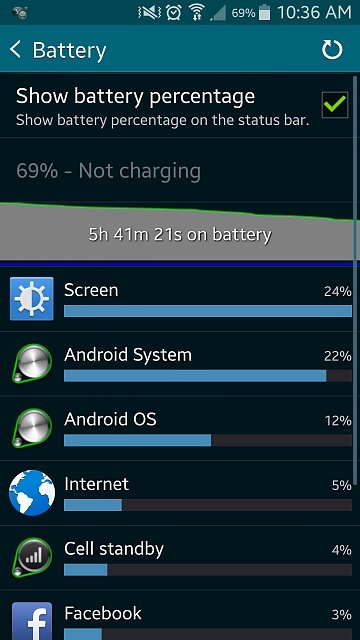 How's your note 3 battery life? 659 Mb data usage by ES File Explorer ,can someone please explain that what was it used for. Launch time buyers, how is your battery holding up?